This car came to us as a fresh 'dry state' US import and while the body had severe micro-blistering it lived up to the stereotype of being completely rot free. 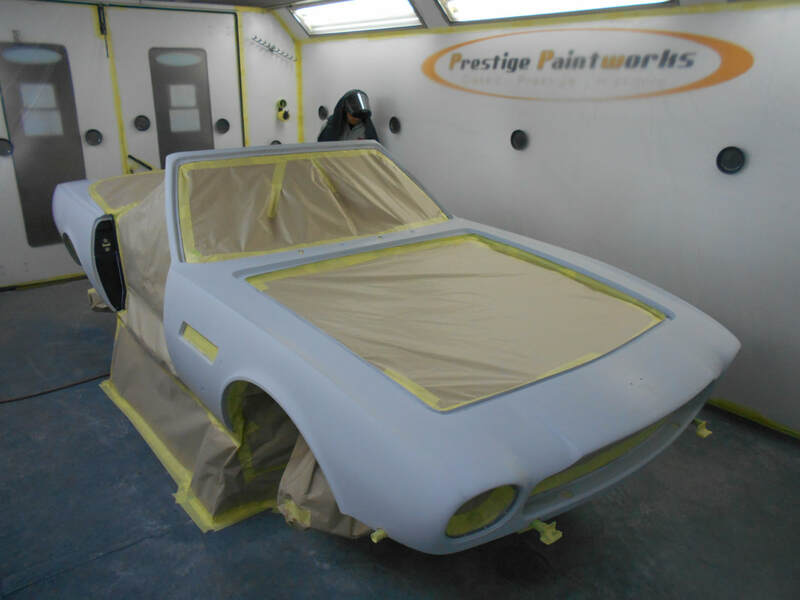 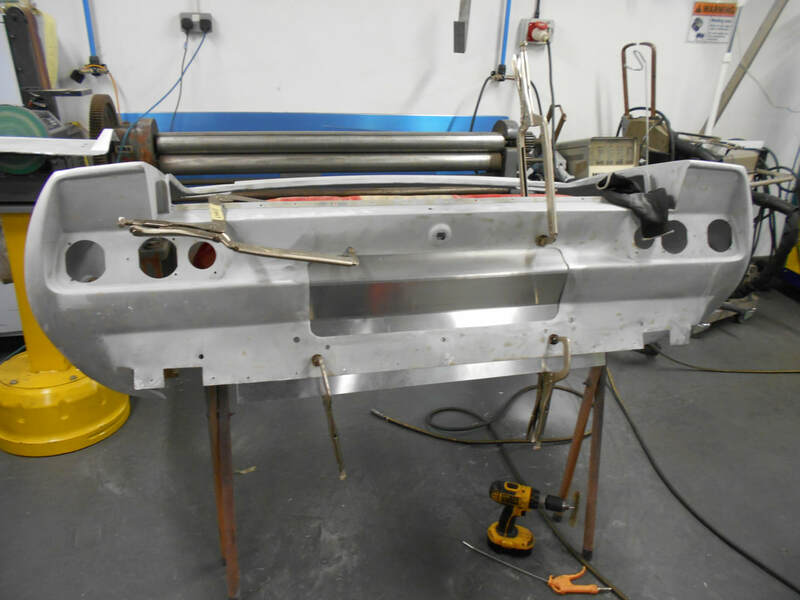 This project was slightly different from the norm, not having the usual hundreds of hours of cutting out and letting metal in, a fraction of the hours instead going into converting the car from US to EU spec. 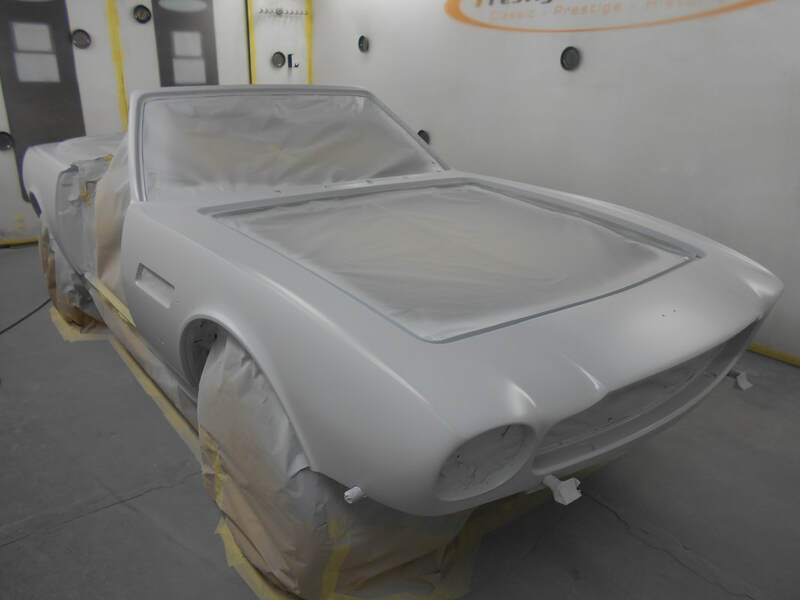 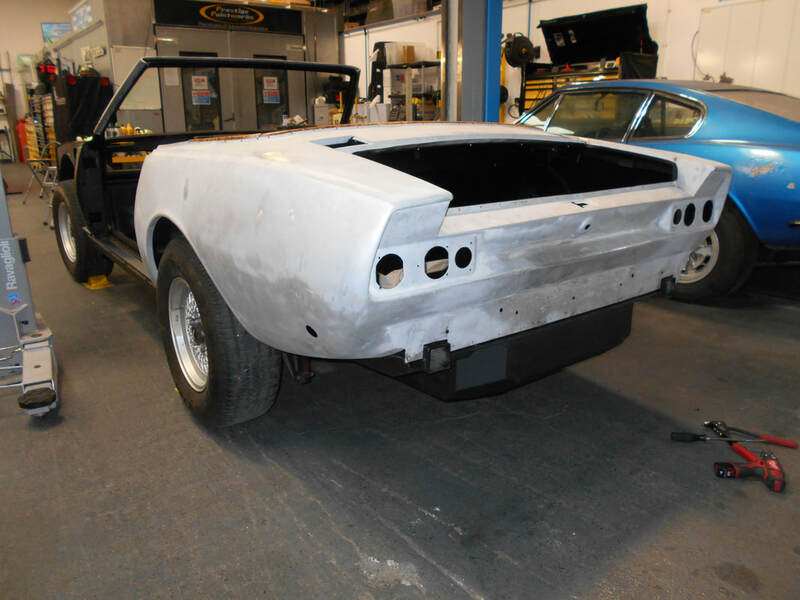 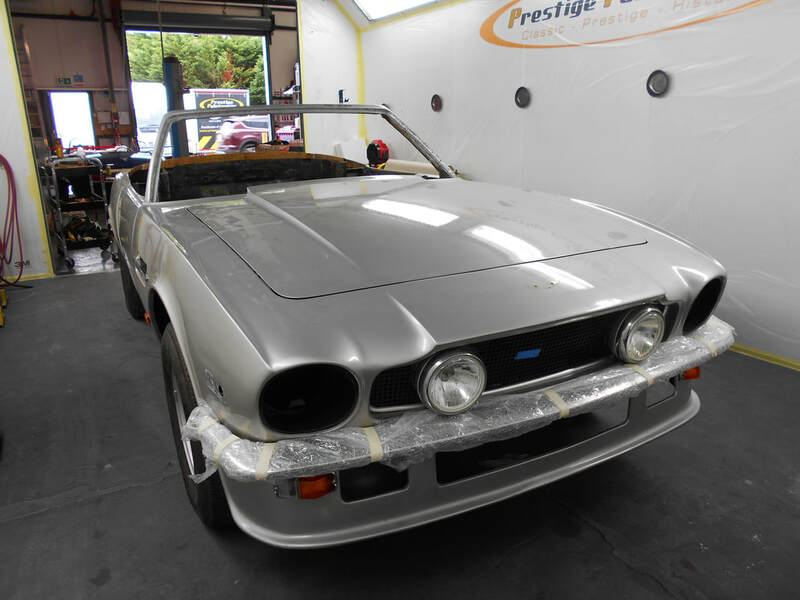 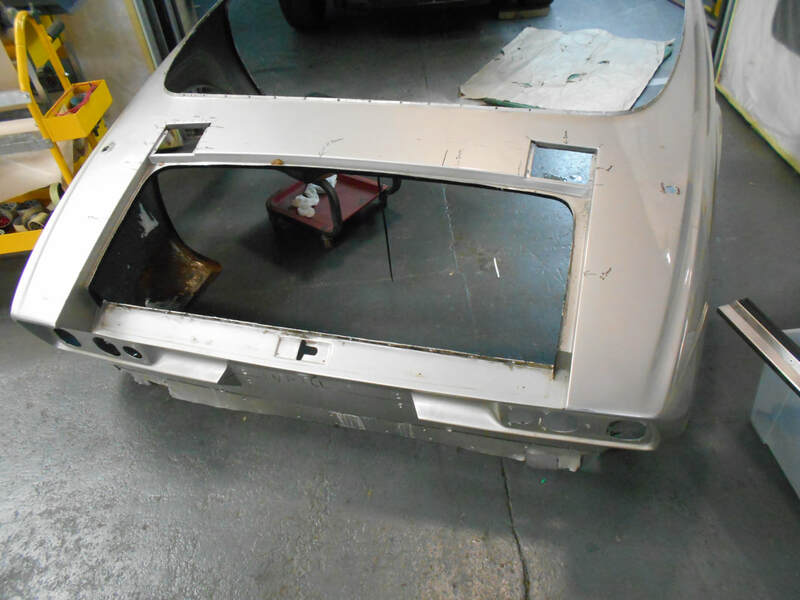 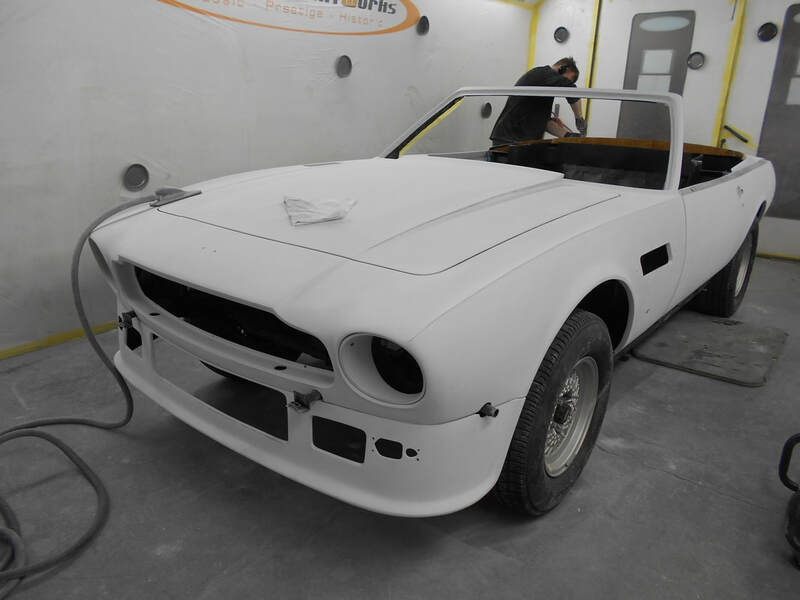 The car came into the workshop pre stripped by the client, we quickly catalogued and removed the exterior fixtures and determined what on the car was US specific and needed converting. 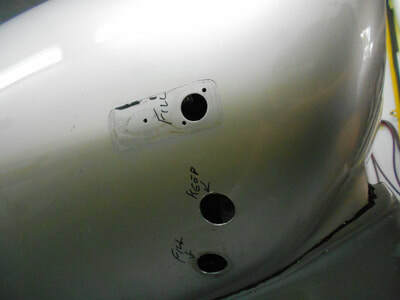 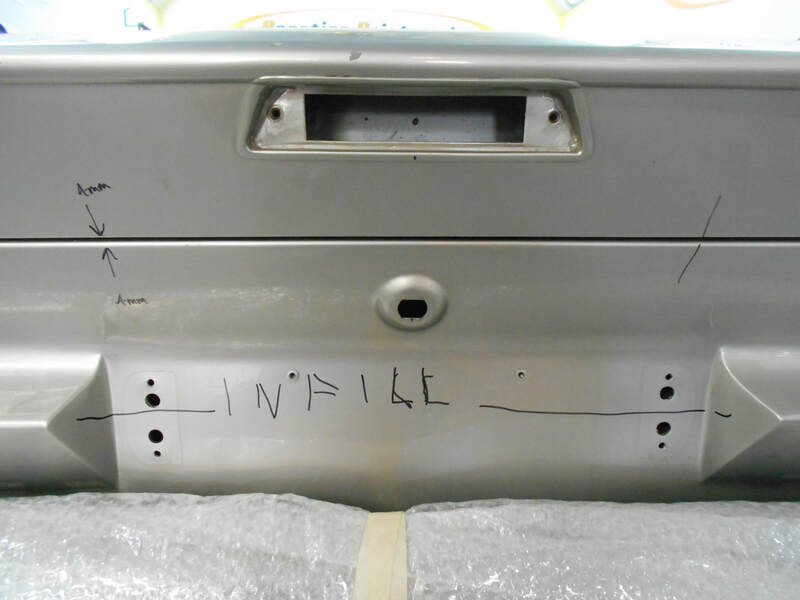 The major differences being the front/ rear US big bumper holes, side indicator markers and the rear number plate recess. 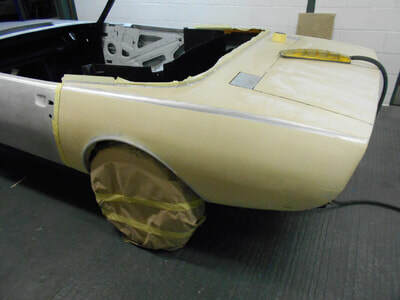 Being a Volante the front and rear clips came off without cutting at the pillars and the paintwork removed by DA sander. 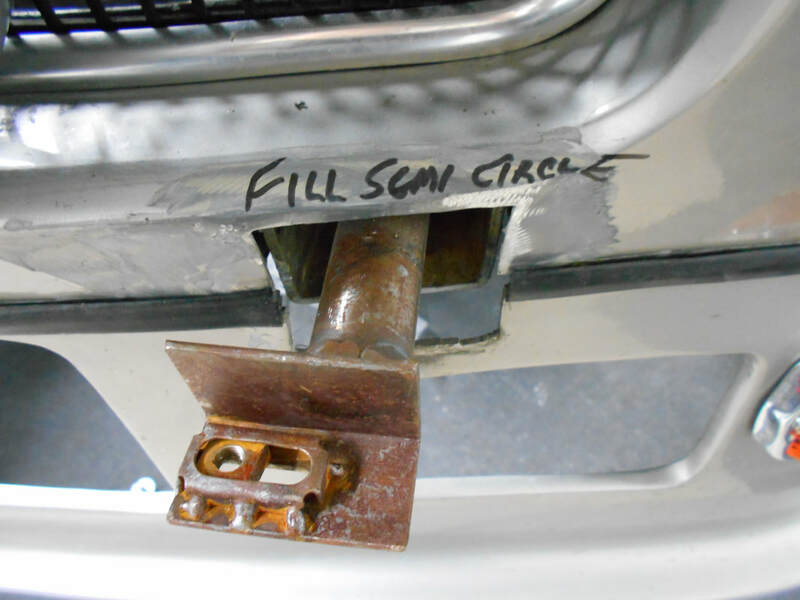 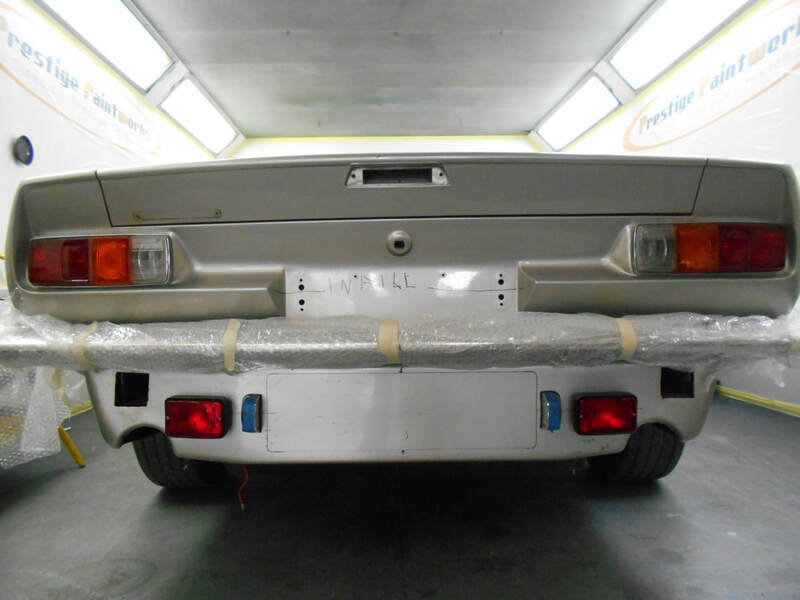 The conversion began with the filling of excess bumper/ indicator holes in the front clip, as well as converting the square bumper holes to the smaller EU round ones, this was also altered on the fibreglass lower front bumper. 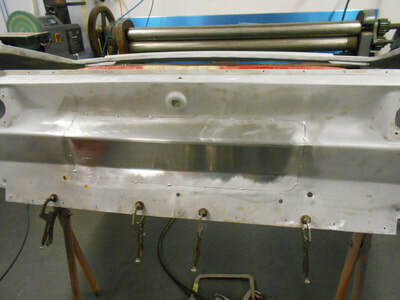 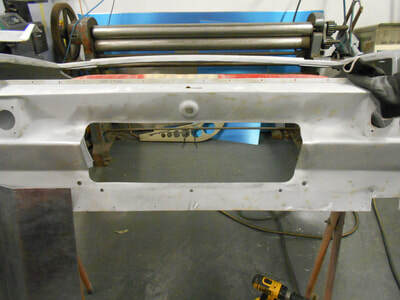 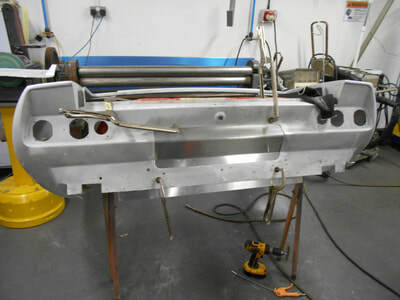 The rear number plate recess was measured up and cut out so a fabricated section could be gas welded in. 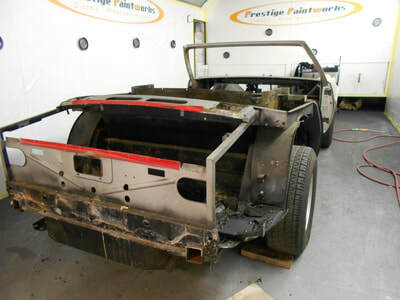 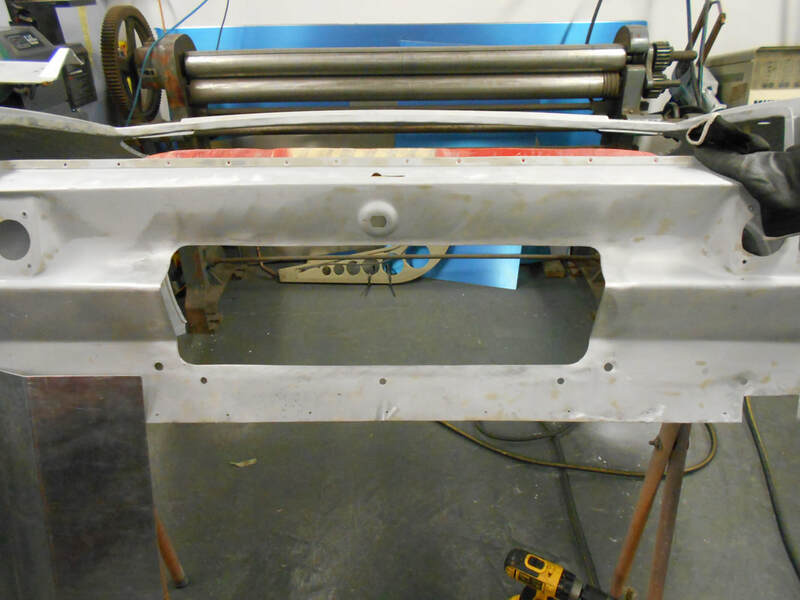 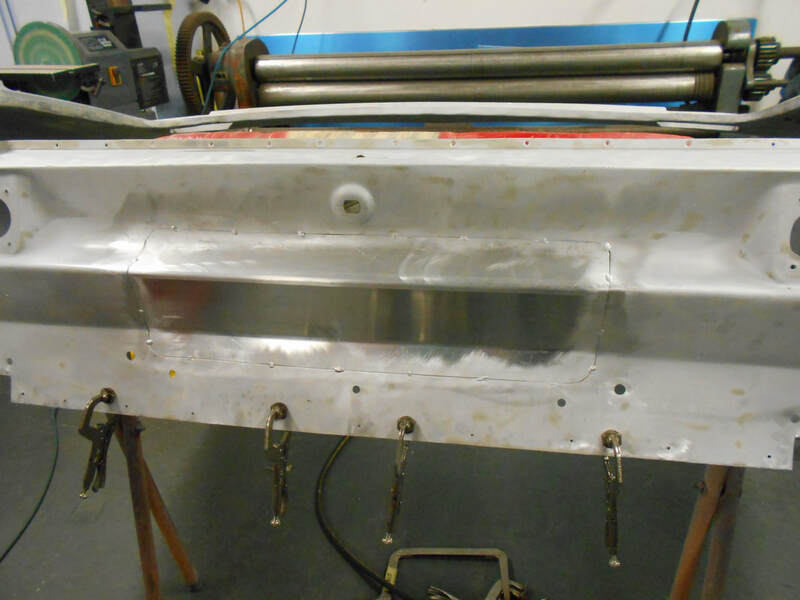 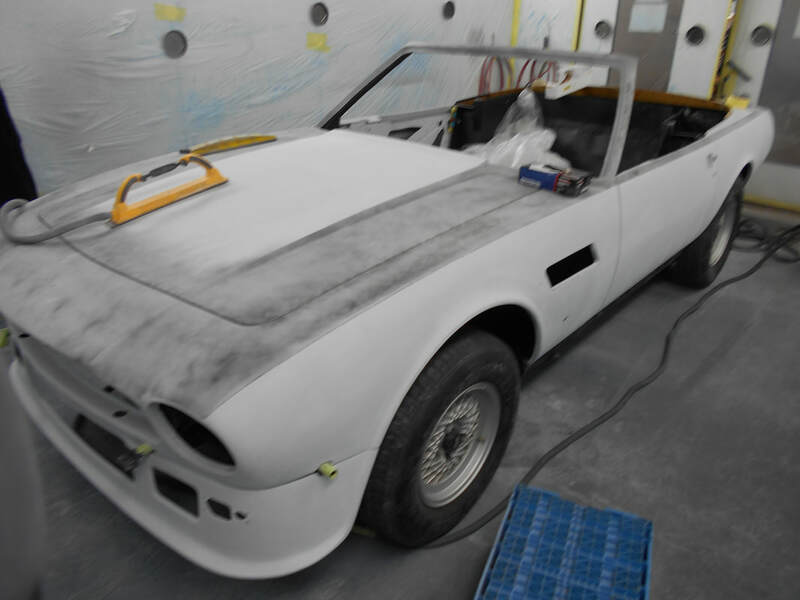 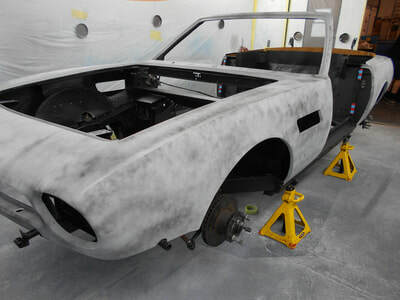 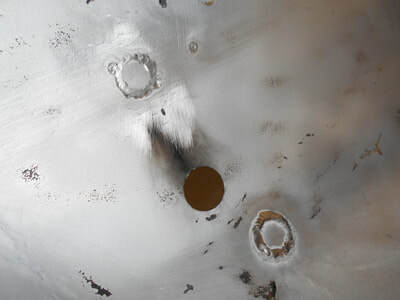 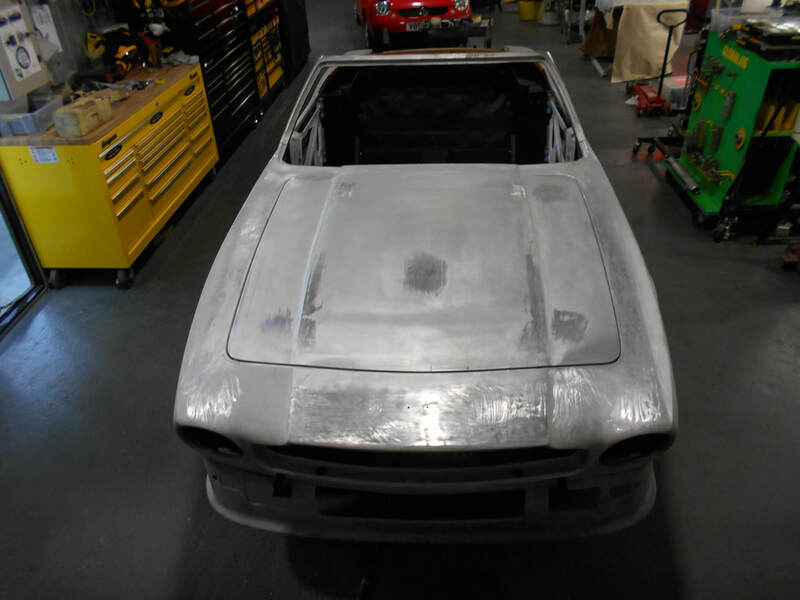 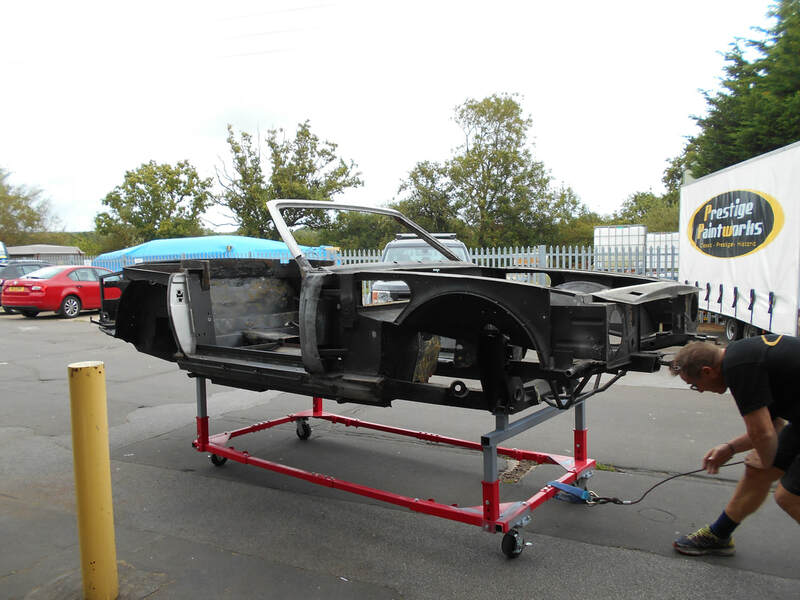 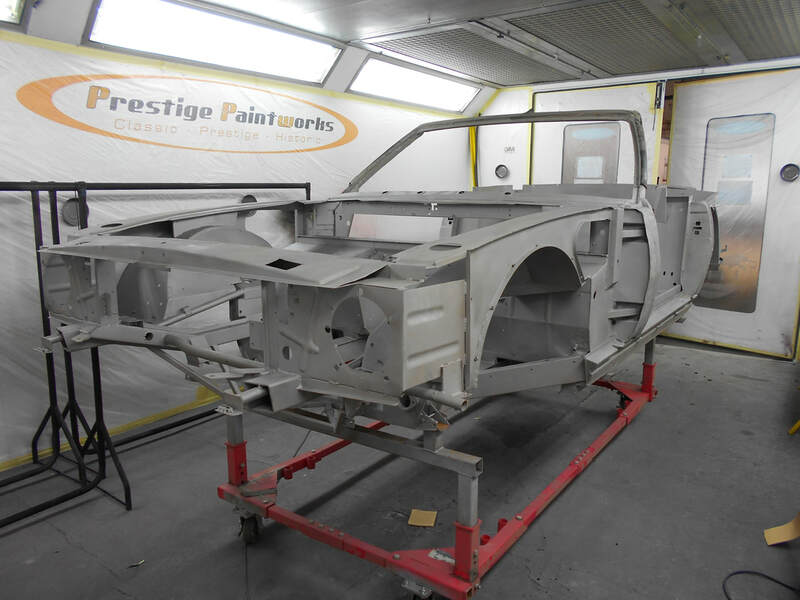 While the body was being converted, the chassis was sand blasted to reveal as suspected only minor pitting. 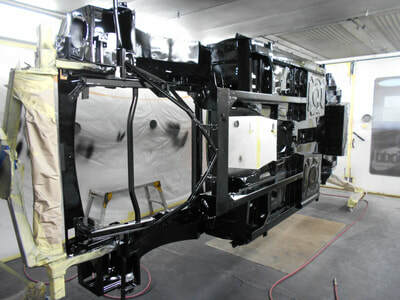 The chassis and the interior surfaces of the clips were then given 2 coats of black epoxy primer, sealed and given 2 coats of black polyurethane top coat prior to being mated back together. 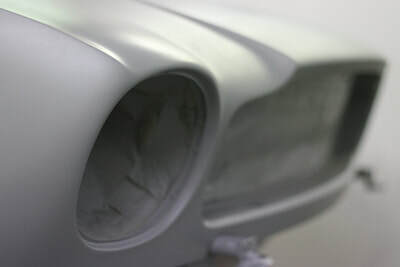 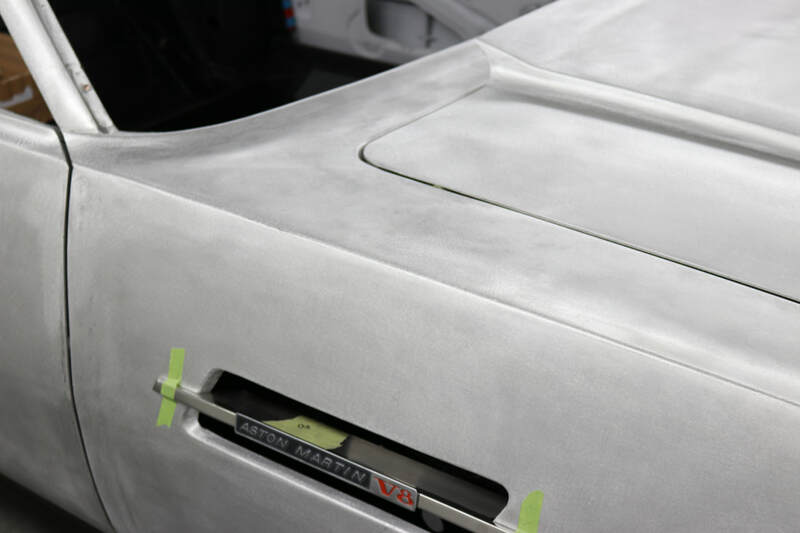 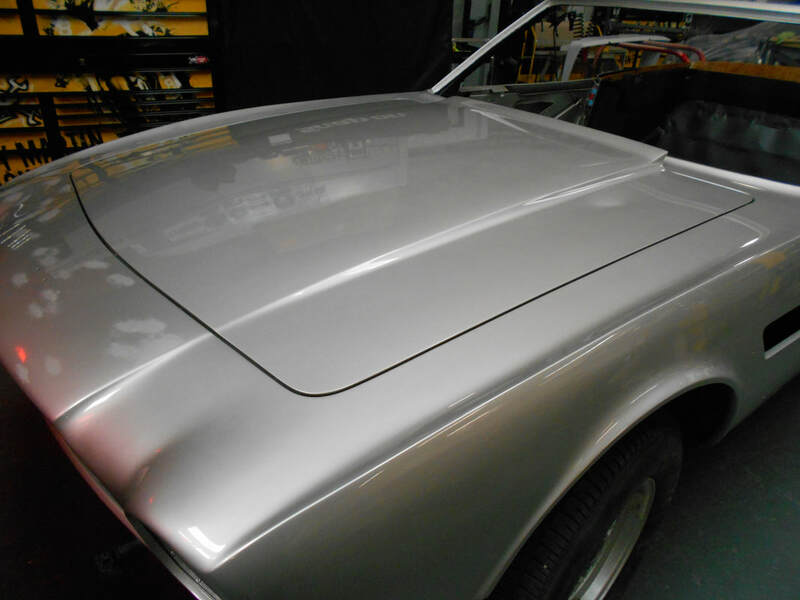 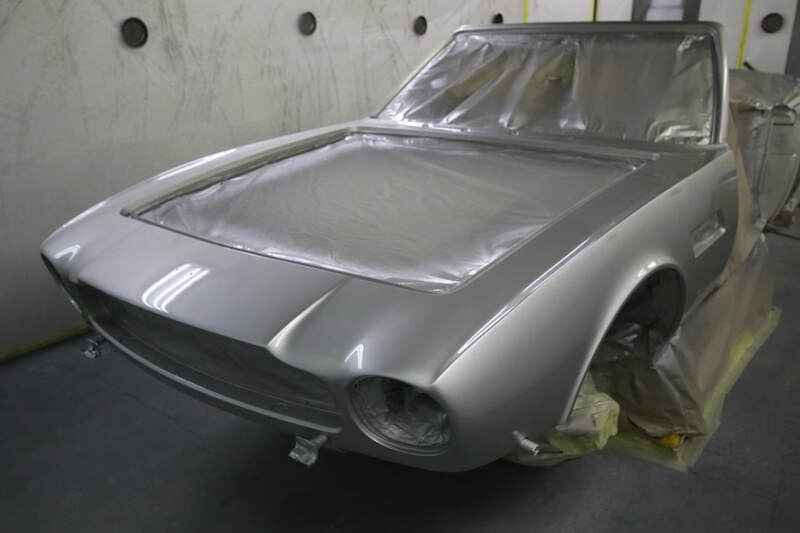 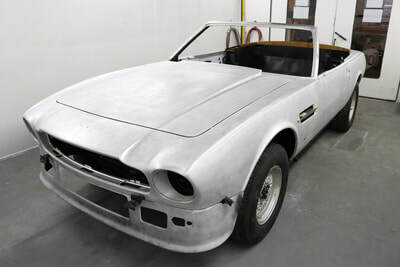 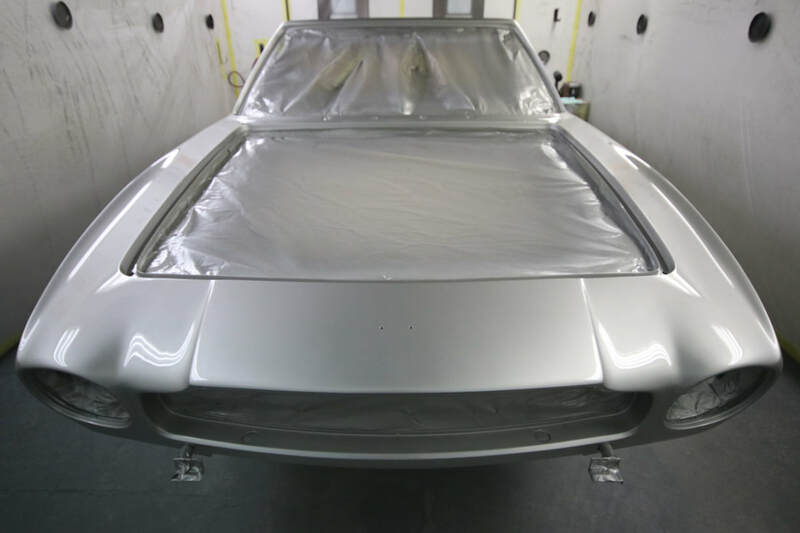 Once rivetted back together the cars gaps were adjusted to a constant 5mm metal to metal gap and the car was then levelled, polyestered and blocked down through the grades fine tuning the shapes ready for re-application of its original colour Kensington Silver.